The first time I read Endless Night, I had no idea the title was taken from William Blake's Auguries of Innocence; now, a masters in English literature later, I instantly recognized the familiar poem. So that I don't give it away, I won't say what other Christie novel Endless Night reminds me of. It has altogether an eerie atmosphere to it and one is never sure what it is: a love story? a psychological mystery? a supernatural novel? or just simply what is normal for Agatha Christie? a mystery? The main plot twist comes when you are well past half-way point and the ending comes as a huge surprise; but the story manages to be intriguing even before the twist and turns Agatha is most famous for. The psychological element is introduced so cleverly, so effortlessly that before you know it, you understand it all. I find myself agreeing with critic Anthony Berkeley's views on Agatha Christie's books. Below is his take on Endless Night. "The old maestrina of the crime-novel (or whatever is the female of 'maestro') pulls yet another out of her inexhaustible bag with Endless Night, quite different in tone from her usual work. It is impossible to say much about the story without giving away vital secrets: sufficient to warn the reader that if he should think this is a romance he couldn't be more mistaken, and the crashing, not to say horrific suspense at the end is perhaps the most devastating that this surpriseful author has ever brought off." 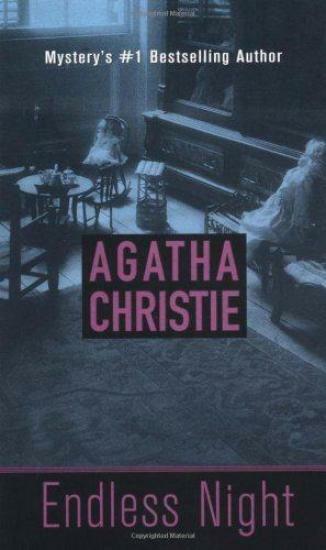 Definitely one of Agatha Christie's best. A story that you can relish and sink your teeth into. This is one of the author's best in my humble opinion. Very unlike an Agatha Christie novel and it takes quite a while to get going but it is all justified at the very end. In fact this is one of those books where the ending makes up the whole plot, a kind of late flowering. The ending definitely is something :) I loved the whole atmosphere of the novel....so suspenseful.